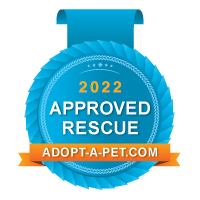 **Important:** Please contact your vet within 24 hours of submitting this application and give them permission for Furever Paws Animal Rescue to discuss vetting history with them. In the event that the dog that you are applying for is no longer available, would you be interested in adopting a different dog? Considering the energy level of your family, what energy level is a good fit for your family? I am aware that a pet requires yearly vaccines/tests and the costs can be a minimum of $200? Note: Once you factor in food, trips to the groomers, pet sitter or kennel stays while you are on vacation and other injuries, illness, the cost of owning a pet often times can be as much as $500 or more a year; per pet. Please consider this before making a decision to bring an animal into your home and family. I understand that completion of this application will in no way guarantee the adoption of this dog. Furthermore, any falsification of information will result in the immediate denial of this application. By Checking the box below, I declare I am at least 18 years of age.